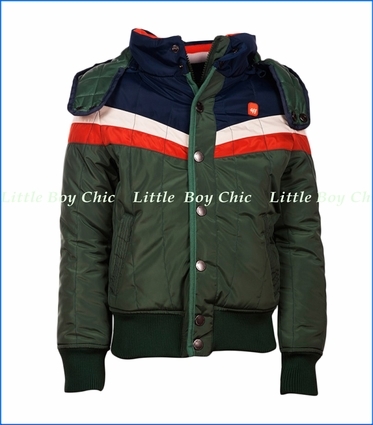 This lined jacket is durable and is intent on keeping him warm and layered underneath. Beautiful color contrast stripes and blocking on the chest. Double closure with full front zip and snaps. Interior lining, and lined hood with snap closing front to keep the elements out. Mock neck with ribbed elastic interior provides added coverage for his face and neck. Zip close hand pockets. Back yoke. Ribbed cuffs and hem. 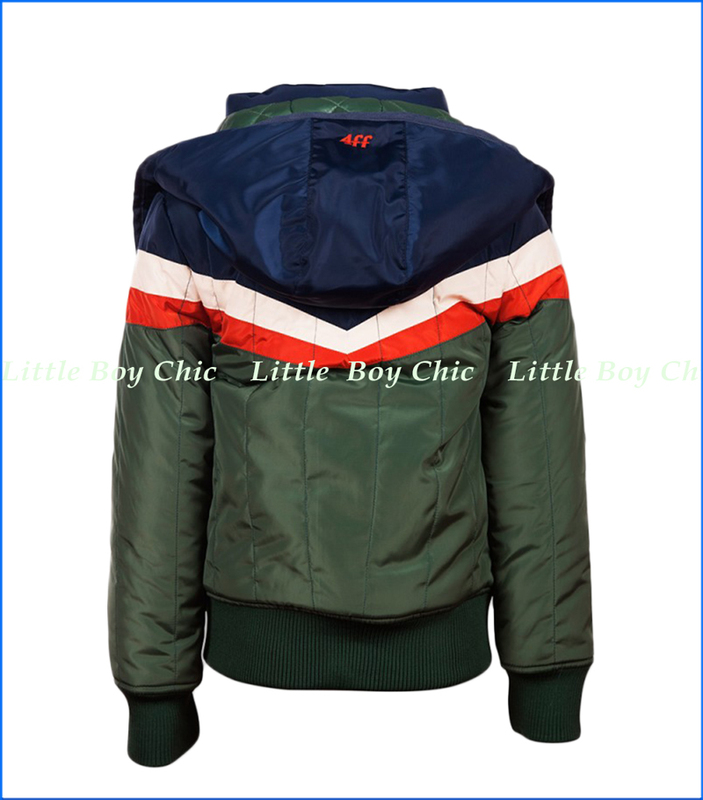 Woven labels on chest, side seam and hood.